The organisation is expanding its Creative Learning department and is looking for an experienced individual to take the lead in optimising our work with young people, schools and communities. The ideal candidate will have managed teams previously in an arts environment and will bring strategic and innovative thinking delivery to the post. 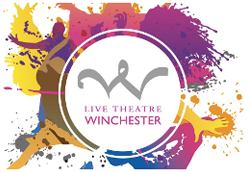 Applications should be sent to recruitment@theatreroyalwinchester.co.uk by 5pm on Friday 13th April 2018. Interviews will take place on Tuesday 24th April 2018.